more ... For more than 10 years PARIGO (French music production & publishing company) offers a catalogue containing 200,000 recordings. In 2012 PARIGO registered hundreds of hours of music for different programs, including 250 corporate films. more ... Roland Aßmann is director and editor. His focus lies on the emotional communication of knowledge, no matter if it is about a science documentary, latest sports news or a motivating image film. Some of his works are: “European International Bank - Financial Instruments” (2015), “Wasserstoff - die Energie-Technologie der Zukunft” (2014), “Mission to the Edge of Space: The Inside Story of Red Bull Stratos” (2013), “Neugestaltung Mauthausen - eine KZ Gedenkstätte stellt sich der Zeit” (2013), “Red Bull Air Race” (2005-2010). more ... GREAT GARBO aka Diego Baldenweg with Nora Baldenweg & Lionel Vincent Baldenweg, are a multi award winning composer team. The three Swiss/Australian siblings have composed music for over 300 international tv campaigns for brands like Canon, Mastercard, Sony and Dove (3rd most viewed online ad of all time in 2014). They have also composed the music for 20 films such as “180°”, “Summer Outside”, “The Little Witch” and for the Oscar nominated “La Femme et le TGV” staring Jane Birkin. They are members of the European Film Academy, Swiss Film Academy, Australian Academy of Cinema & TV Arts, Swiss Media Composers Association and Australian Guild of Screen Composers. 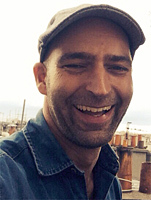 more ... Franz-Josef Baldus is one of the Snack content pioneers in Germany, Twitter co-operation partner, Short-Video Blogger, t3n-Script writer and vine associate professor at the Jung von Matt-Academy in Hamburg. He creates Snack-Content (Short-Videos, animated GIFs, Cinemagraphs, etc) for brands like Coca-Cola, Porsche, Jägermeister or Fujitsu. more ... Allison joined Off the Fence at the beginning of June 2006. She began her television career at Survival Anglia Ltd. in 1998 after gaining her doctorate in human evolution from Cambridge University. She then went on to develop and produce natural history and science documentaries for Channel 4, ITV and TLC before moving to Granada TV in Bristol. At Granada she developed, produced and directed a wide range of award winning documentaries for Discovery, TLC, National Geographic, Animal Planet, and Five. more ... Dmitry Bogdanov is the CEO of Rivelty group – one of the leading companies among corporate video production in the Russian market, as well as the first production company in the country awarded with a Golden Dolphin at the Cannes Corporate Media & TV Awards in 2012. He is the author of "Corporate Video. Instructions for use", an educational book for company employees whose work is related to corporate media. more ... Filming around the world, Peter Bostoen has worked with people from a wide variety of social, cultural and religious backgrounds. This versatility – combined with extensive technical skills, deep creative insight and a sympathetic approach – allows him to excel at expressing human emotion with strong visual power. Peter has specialized in corporate and institutional communications, but he incorporates his previous practice in shooting commercials, documentaries and TV drama. 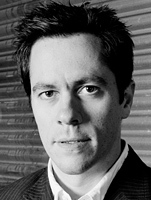 He has won international awards for several of his commercials and corporate films. 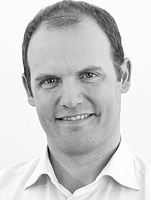 more ... Bernhard Christen is working as Head of Marketing at Swiss International Air Lines. He joined the company end of 2013. In this position he is responsible for the global brand SWISS and leads the following sections: Brand Management, Marketing Communication, Sponsoring & Events, Partnership Marketing and Marketing Analytics. Before that he had worked for nine years for the Ricola AG in Laufen, from 2004 to 2007 as Head of Corporate Product Marketing and starting in 2007 as Head of Brand & Communications Management. Before that he had worked for six years in different positions in the marketing department of the Rivella AG. 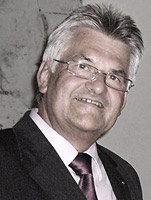 Bernhard Christen gained the licentiate in geography and economics at the University of Fribourg. During his study time he was, amongst other things, active as flight attendant at Swissair. more ... Emily heads up the film and animation team at Radley Yeldar. She has been making award-winning films for both public and private sector organisations for more than 17 years. She brings both creativity and strategic thinking to film projects and has wide ranging knowledge and experience of differing industry sectors and production genres (from drama and documentary to commercials and animation) and interactive projects, recently delivering a wholly animated 360 VR experience for one of our clients. Emily has worked with a wide-range of clients at RY including GSK, Beiersdorf, The Science Museum, TEDx London, Visit Britain, and JTI. more ... Bastian Clevé started his filmmaking career in 1969, firstly with short films, in 1979 he also started creating feature-length films. 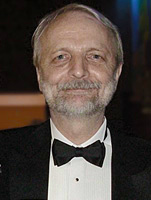 He was responsible for more than 40 short films, from which 13 are labeled with the highest rating “especially worthwhile” and 15 films with “worthwhile”. 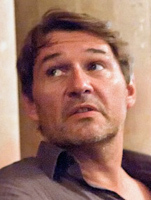 His films won numerous awards at international film festivals such as the Chicago Film Festival, Houston Film Festival, Balitmore Filmfestival and Knokke. Between 1983 and 1990 he worked in different positions for the company Eagle Rock Film & TV Prods, Los Angeles. He worked for the production “Bagdad Cafe / Out of Rosenheim” with Marianne Sägebrecht and Jack Palance as well as for “Nightchildren” with David Carradine, Nancy Kwan and Griff O’Neal. For many years Bastian has been working as professor at the Filmakademie Baden-Württemberg, where he conceptually and organizationally built the degree course Production, which he was leading for a very long time. His cinema film “So weit die Füße tragen” (2001) is one of the most extensive German cinema film productions of the last decades and became a worldwide success. more ... Fleur began her career at the BBC where she worked on many iconic TV programmes such as „Panorama“, „BBC News 24“ and „Breakfast News“. She later joined the global agency MRM, becoming a key part of the design team that led digital campaigns for major international brands including Microsoft, Sky, Intel and Apple. 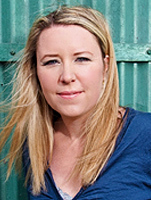 Now a widely respected Motion Designer and Art Director, Fleur formed TMDC with Simon Tubbs in 2010 and continues to lead the creative on many of the studio’s projects for clients such as Lloyds Bank, Rolls-Royce, SEAT and Telefonica. 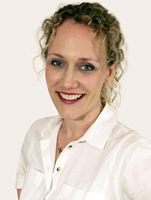 more ... Doris has extensive background and knowledge in Management, Advertising and Marketing. Before joining TBWA The Disruption® Company in 1998 she held senior regional marketing positions at Henkel and McDonald's. She had an adventurous time at TBWA\ so far with posts all over the world including Latin America (Buenos Aires and Mexico), Hungary, Romania, Russia and Germany (Hamburg) and responsibilities from Managing Director to Brand Leader of Global clients and Regional management. She is Austrian, studied economics in Vienna, takes care of her family vineyard, loves opera, classical music, jazz and football and speaks five languages. more ... After her Master’s Degree in political science “Globalization and Democratic Studies” in Greifswald (Germany) Luise moved to Paris. 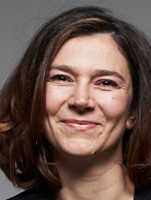 Since 2009, she works in the Communication Department of the international consortium of Saint-Gobain, where she is primarily in charge of national and international film projects: “La maison Multi-Confort“ and “Saint-Gobain Experience”. In 2015, on the occasion of the world tour travelling exhibition which was organized in the context of the 350 years anniversary of Saint Gobain, she stood herself in front of the camera as a reporter. In 2016, the Franco-German won a golden Dolphin with her corporate film which had been produced in cooperation with CAPA Entreprises. 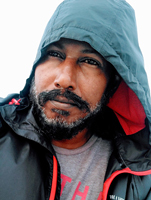 more ... Abdul Faththaah who started his carrier in 1990 while studying at secondary school has become one of the most respected and multi award winning leading directors in the Maldives with several national awards to highlight since 1996. He has produced many successful movies, dramas and documentaries, which includes direction of 12 movies (feature films) and production of series’ adding to more than 240 episodes. “Vattafaalhi” means lifestyle in the local language (Dhivehi), and it is a travel style TV program, which captured the uniqueness of Maldivian culture and the diverse lifestyles among the atolls of Maldives. Each season revolved around a central theme while conveying the history of the island and stories of noteworthy people and places. A total of 30 episodes have being aired by RaajjeTV (in Maldives) and has been well-received by the views for its extraordinary content. more ... Jeremy JP Fekete started his career as a performing artist with severel exhibitions, among other things at the „Art Basel“, “Kunstmuseum Luzern”, “Kunsthaus Aargau” and at the “Kunstmuseum Basel”, Switzerland. 1993, he switched to the TV and film business. Since then, he stands out as a script writer and director of documentary series as well as arthouse and culture films for ARD, ZDF and ARTE as well as co-productions for further international channels. His cinematic work as an author-filmmaker is highly influenced by his artistic-academic education. His work has been internationally rewarded several times: among other things with 4 awards at the “New York Festival” (USA), as a winner at the „Worldfest Houston“ (USA), nominated for the “Adolf Grimme Award“ (Germany), “Deutscher Kamerapreis“(Germany), “Rose d’or“ (Switzerland), “Art Directors Club, ADC” Germany and for the “International Filmmaker Festival of World Cinema“ in London und Nice as well as further international nominations and prizes from diverse TV and film festivals. 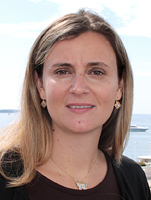 more ... Raphaëlle Galante received a Master degree in Communication and Marketing and is currently Corporate Communication Manager, specialized in tourism and digital strategy, at the Palais des Festivals et des Congrès of Cannes (France). Raphaëlle started her career as a journalist 15 years ago, she then moved over to institutional communication. 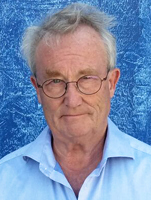 more ... Johan v. Gersdorff is a veteran in the field of advisory for brand strategy and communication. 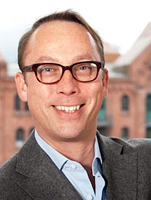 Through his international career in Frankfurt, Budapest, London, Düsseldorf and Hamburg, he accumulated a large experience in many branches (FMCG, Automotive, Services) in key markets going from Western to Eastern Europe and from North to South America and Asia. His work has been rewarded with several Effies and creativity awards (Cannes Lions, Moebius, D&AD, AME, Montreux, and others). 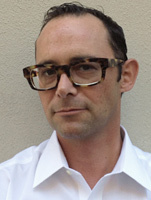 more ... Tzur Golan was born in Israel in 1969 and began his love story with the advertising world in 1994. In 1998, after winning several national awards for a small local agency, Tzur moved on to his next destination: Shalmor Avnon Amichay Y&R, Tel Aviv. During his 14 years at Shalmor Avnon Amichay Y&R, the agency has been ranked Agency of the Year in Israel five times. In 2008, the Tel Aviv agency was named as Y&R Agency of the Year worldwide. Shalmor Avnon Amichay Y&R became Israel's most successful advertising agency abroad, winning second Media Agency of the Year at Cannes 2009 and ranked second PR Agency at Cannes 2011. Today Tzur is Chief Creative Director and Owner at M&C SAATCHI Tel-Aviv. His résumé includes some of the most prestigious awards, including 12 Cannes Lions, Grand Prix at the LIAA and Golden Drum, Gold's at Clio and many others including One Show, Eurobest, Epica, New York Festivals and Cresta. Tzur has also served as a jury member at Festivals including: Clio, Eurobest, NYF, ADPRINT, Cresta and local competitions. more ... Vyacheslav went on an unexpected career path from physicist to filmmaker and scriptwriter, and “on the way” he has become co-owner and CEO of a production company. 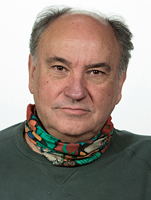 For over twenty years Vyacheslav has been engaged in video production, and is one of the leading experts in the field of corporate films in Russia. The projects under his supervision have received awards at Moscow, New York, Los Angeles (including two Best of Festival Prizes in a row), Cannes, and other international film festivals. He prefers to personally supervise large-scale and integrated projects, including working with companies such as Gazprom Neft, S7 Airlines, Salym Petroleum Development, and Rusnano. Many years of experience in solving the problems of large companies has made it possible to expand the sphere of his competence to all aspects of marketing and promotion. more ... Ala Hamdan an award-winning filmmaker. She studied filmmaking at NYFA and now is a co-founder of (at Films) production company. Ala's work focuses on PSAs on social justice and uplifting topics, documentaries, and short films. Some of her web-series work was viewed over 5 million times on various social media platforms. 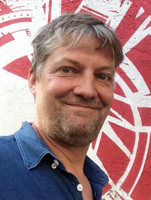 more ... Classically trained with a Masters in Screen Music at the National Film and Television School, Angus Havers is an experienced British film composer working at the cutting edge of major film, television, commercial music and sound production. A competent piano session musician, arranger and producer, he has worked with or performed to some of the biggest names in the media industry. Recently his clients have been BBC and Audi. Currently he is writing songs with Leah Weller. more ... Conrad Heberling teaches Media Economy and TV Marketing Research at the German Film University Babelsberg “Konrad Wolf”. 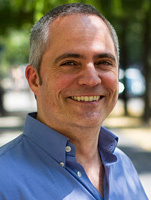 He has nearly 20 years of experience in management positions with TV stations in Germany (RTL2 Television, DAF Television), Austria (Austria 9 TV) as well as internationally. 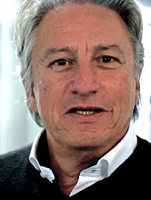 He holds a number of international advisory positions such as with Dori Media International, a leading producer of telenovelas, drama and game shows and has authored numerous scientific papers in regards to topics such as “Big Brother”, “Popstars”, merchandising, children´s television and many more. more ... Winner of 19 German National Corporate Film Awards and more than 150 international and national Awards. President of the International Tourism Festival "The Golden City Gate" at the ITB Berlin. more ... Maria Iankova studied Theater, Film and Media Science with specialisation on the topic of “censorship in the Bulgarian cinema”. 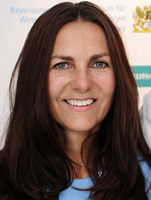 She gained first experience in the film business at “DoRo Filmproduktion” and several other production companies. The work in the film business brought her to the world of advertising agencies where she worked at “Super-Fi GmbH” or rather “VIICE CEE” for six years. Since 2015, she is working as campaign coordinator at the Federation of Austrian Industries in Vienna. 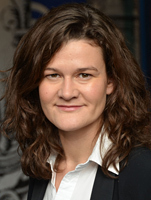 more ... Bärbel Jacks is an award-winning director and executive producer that made several documentary films, reports, image films and a feature drama for the German speaking market as well as the international market. For her filmic work she is in action all around the world. From 1993 to 1996 she was a foreign correspondent and bureau chief officer in Moscow, 1997 she received the Bavarian Television Award. Starting with 1998 she worked as chief reporter and moderator on Air. Since 2001 she started dedicating herself as director more and more to long-format documentaries. At the same time she was executive producer, show producer and head of development for many TV shows in the German television. From 2009 to 2011 she worked as a director for several documentaries that give exclusive insights into the world of the UAE. In 2015 her film „Zeichnen gegen das Vergessen“ was awarded with three gold awards at the New York Festivals. Her passion is for films which touch, which lead to change and which offer a new view or perspective. CEO and Executive Producer at IMAGE SCIENCE, INC.
more ... Over 25 years, Teruhiko Kimura has been creating corporate films and digital contents based in Tokyo, Japan. 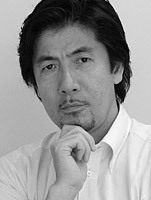 Since 2011 he is Managing Director of the Japan Association of Audiovisual Producers, Inc.
more ... 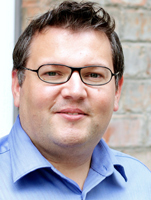 He has been working for TV stations such as: ORF, RTL, SAT1, SKY, SPORT1, KABEL1 and VOX. Director of sport events, producer for comedy shows, gala events and concerts. Emmy Award winner for Red Bull Air Race. more ... James Lavino’s music includes scores for two Oscar-nominated documentaries, films for HBO and the BBC, and the forthcoming feature “You Were Never Here”, starring Mireille Enos and Sam Shepard. His music for the opening ceremony of the National 9/11 Museum, in New York City, formed part of a presentation made by President Obama. James has composed music for the choir of Westminster Abbey, has collaborated with members of Radiohead, and has written songs for Disney. He lived in London from 2002-2010 and holds dual UK/USA citizenship. He currently works out of New York City and Philadelphia. more ... Composer, best-known for his album Stabat Mater to Wong Kar Wai’s film “The Grandmaster” two Academy Awards nominee. Mainly interested in unconventional scoring. He composed the soundtrack - feat. Charlie Winston - for TV Series “La Porta Rossa” nominated for Best Score and Best Song at 2017 Fimucinema Awards and the score for International Emmy Kids Awards nominee “Braccialetti Rossi”. His first instrument was a classic guitar made by his grandfather who was a carpenter out of some old wardrobe doors. more ... Jan Litzinger made his first steps in the film industry as 3D artist. Over more than six years, he worked for several post- and film productions as designer & animator for motion graphics, as 3D artist and as editor for advertising films and TV-Channels. His first works as director were born in 2000. 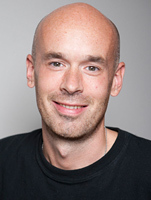 Since his studies at the Film Academy of Ludwigsburg, Jan Litzinger works as a freelance director and author. His films for Mercedes-Benz, Mini, MTV, ZDF, MAN and other clients have been awarded with many international prizes. more ... Professional experience: Twelve years with Mercator as a managing partner (one Gold and three Silver medals of Cannes Corporate). Education: Lomonosov Moscow State University, School of Public Administration (qualification in strategic marketing), AIBEc MBA (American Institute of Business and Economics), Cannes Corporate Media & TV Awards jury member since 2014. From 2017 – CEO and co-owner of Emotional Reality. The company specializes in spatial multimedia projects: historical, architectural, science, nature, art projects combined with interactive videos, art mapping and live performances (Asian and European market). more ... 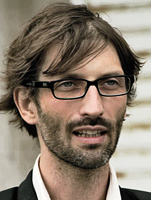 He currently works at RADIO TELEVISION ESPAÑOLA as a Director of Documentaries and Reports. 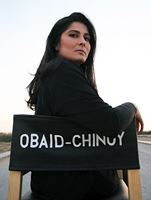 more ... Sharmeen Obaid Chinoy is a two-time Academy Award and Emmy Award winning documentary filmmaker. In the past 16 years, she has made a dozen multi-award-winning films in over 10 countries around the world. In 2012, Time Magazine included Sharmeen in their annual list of the 100 most influential people in the world. That same year the Pakistan Government awarded her with highest civil honour “Hilal -e–Imtiaz”. In 2013, the Canadian government awarded her a Queen Elizabeth II Diamond Jubilee Medal for her work in the field of documentary films and the World Economic Forum honoured her with a Crystal Award at their annual summit in Davos. Born and raised in Karachi, Pakistan, Sharmeen received a bachelor’s degree from Smith College and two masters’ degrees from Stanford University. more ... Fernando Faria Paulino, PhD in Anthropology (Visual Anthropology), Professor at University Institute of Maia, Dept. of Communication Sciences and Information Technologies (in the areas of visual communication, visual semiotics, documentary video, photography and new media) , researcher at CITEI – Research Center for Technologies and Intermedia Studies and researcher at CIAC Research Centre for Arts and Communication / University of Algarve. He is the Head Coordinator of the undergraduate degree of Multimedia Communication | University Institute of Maia, Coordinator of CLM Multimedia Lab Center ISMAI and Coordinator of the CCCom Communication Sciences Center | Multiplatform Audiovisual Studio ISMAI. 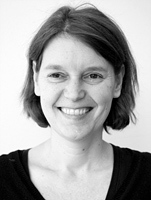 Research interests: anthropology, visual anthropology and anthropology of visual communication, methodology, technology and epistemology of images and audiovisual culture, visual semiotics and visual culture, digital media, multimedia / hypermedia, new media, documentary film and documentary photography, interactive documentary, i-docs and web-docs; anthropology, cultural heritage, culture and tourism development. 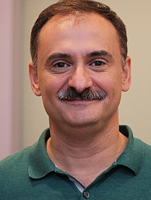 He is author of several scientific articles, documentary filmmaker, as well as hypermedia products author, essentially based on anthropological content nature. more ... Sebastian Pfotenhauer studied as stipendiary of the Ullstein Verlag, journalism, political Science and literature at the Freien Universität Berlin. 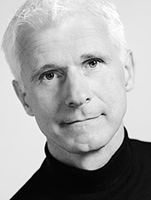 After finishing his studies at the Henri-Nannen-Journalistenschule in Hamburg he developed together with Jörg Thadeusz a Talkshow named „Thadeusz“, in 2005. It was broadcasted on the Rundfunk Berlin-Brandenburg Network. For this TV Show he received a nomination for the „Deutsche Fernsehpreis“. Furthermore he worked as an author for Reinhold Beckmann. 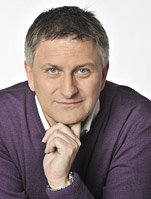 In 2007 he became the first WebTV-Journalist for stern.de and developed various series and magazines. In 2010 he became the team leader oft the Digital TV department at Stern. 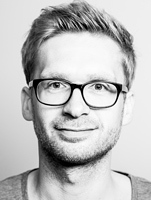 Since 2015 he works as Head of Video for Ringier Publishing in Switzerland. 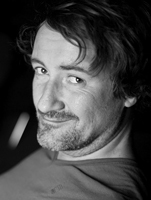 more ... Daniel Philipp works since almost 20 years in advertising, in the film and television industries. 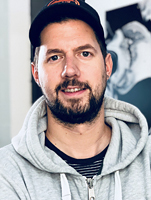 As executive producer of the film production company & agency Panda Pictures in Munich, he produces internationally lots of audiovisual formats, among them advertising spots, image films, product films and explanatory films. His works as director, creative director and producer have been awarded several times. more ... Patricia Rommel had her breakthrough as an editor with Caroline Link ́s film"Beyond Silence" (1996). Further collaborations with Caroline Link include "Annaluise and Anton" (1998), the Oscar winning film "Nowhere in Africa" (2001) — the first German Film to win a Best Foreign Language Academy Award in 25 years — "A Year Ago in Winter" (2008) and "Morocco" (2013). Patricia is also responsible for editing Florian Henckel von Donnersmarck’s highly acclaimed "The Lives of Others", which won the Academy Award for Best Foreign Language Film in 2005. Since then she has been working on international productions such as "The Last Station" (Michael Hoffman), "The Tourist" (Florian Henckel von Donnersmarck), "In the Land of Blood and Honey" (Angelina Jolie), "Umrika" (Prashant Nair), "Gloria" (Christian Keller), "By The Sea" (Angelina Jolie), "First They Killed My Father" (Angelina Jolie) and more recently "Never Look Away"(Florian Henckel von Donnersmarck). Rommel began her career in the film industry in 1977, working on commercials and dubbing productions. 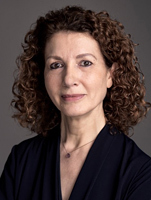 Since the early 80s she has been working as a freelance editor on features as well as documentaries and has edited more than 50 feature films and television productions. She has been honoured and awarded on both national and international platforms. Nominated twice for the German Film Awards (Germany’s equivalent to the Academy Awards) for "The Lives of Others" and "A Year Ago in Winter" (2006 and 2009). She received the Ariel Award in Mexico for her work on "Gloria" (2016). For "Off Beat" and "The Lives of Others" she received the German Film Critics Association Awards (2006 and 2007). She was nominated for the German Camera Award for "Life Is All You Get" (1997) and received it for "Off Beat" (2005). The Forum for Film Editing and the Art of Montage in Cologne honoured her with an award for "Off Beat" (2005) along with three other nominations. Further films include Nina Grosse's "Fire Rider" (1997), Franziska Buch's "Emil and the Detectives" (2001), Romuald Karmakar's "Nightsongs" (2003), and Christian Ditter's Comedy "French for Beginners" (2006). Patricia also edited the following well known TV productions: Dominik Graf's "Dr. Knock", Dieter Wedel's "My Old Friend Fritz" and Nina Grosse’s "In the Trap". 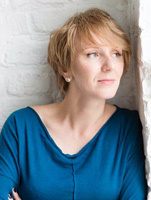 As well as a practioner, Patricia lectures and holds workshops at national and international film schools. Patricia lives in Berlin or abroad, depending where her work happens to take place. more ... Dîdem Şahin was born in Germany. After having graduated from the TV and Cinema Department of the Marmara University, Istanbul, she went on to continue her studies in England, where she completed a scenario cursus at Birkbeck University. Afterwards, she completed a Master’s Degree in Documentary Production & Direction at the Brunel University in London. 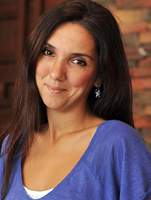 Dîdem Şahin was chosen as a documentary director for “Berlinale Talent Campus” in 2010. Her films were awarded with best Turkish Documentary by SIYAD in 2007, at the 2.Cyprus Golden Bunch International Film Festival in 2008, Best TV Documentary Film in I. International Sport Film Festival of TV Category Milano and received a finalist status at the 48th Antalya Golden Orange Film Festival, Turkeys most prestigious festival. Since 2013, Dîdem Şahin has been producing and directing TV-documentaries and -programmes as a freelance. 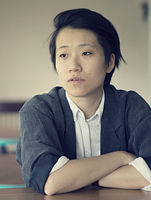 Most of the time, her work is based on current affairs, human stories and sports. She worked in Malaysia, Gambia and of course Turkey. Her latest documentary is about Syrian Refugee's life in the camp and the city. more ... Since the beginning of the 90ies Frieder Sandel was working as a pioneer in commercial television, copy editor, author, cinematographer and as editor at Avid, until he entered Siemens as specialist for film in 2011.
more ... Željko Sarić was born in Croatia, Zagreb. He has graduated from the Academy of Dramatic Arts at the University of Zagreb. 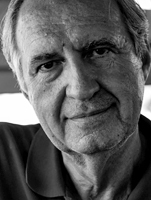 As a cinematographer, he worked on documentaries and short films with renowned Croatian directors of every age. He has furthermore worked as an associate cameraman for the Croatian RadioTelevision (Croatian public broadcasting company) where he recorded more than 200 titles of television broadcast for all programs (television shows, documentaries and motion pictures). He also filmed a music video with David Bowie for the Chinese market. He has since directed numerous short feature films, documentaries, TV series and experimental films. 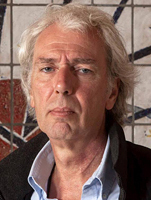 He has besides participated in different film festivals as for example: Sao Paulo, Tampere, Regensburg, San Francisco, Tanger, Cottbus… With his unique style of Cinematography, he also makes exhibitions in the field of Fine Arts. 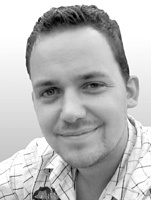 more ... Simon is freelance director, editor and author for Film, TV and Corporate TV projects. After having finished his studies in Austria and the USA, he carried out several national and international projects including documentaries, reports and journal articles for ORF broadcast, ServusTV or Red Bull Media House. Furthermore he developed Corporate films for various international companies. He affiliates a long-term working cooperation with DMG Film Wien. He has received numerous prizes for his films: a report named „Die letzten Fahrenden“ developed for the TV magazine „Am Schauplatz“ (ORF) won the P.Leopold-Ungar – Recognition price. The documentary „Das Schicksal fragt nicht“ received a prize at the Cannes Corporate Media & TV Awards. 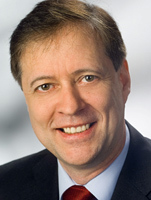 more ... Chris Schueler has created over 100 television programs in the past 25 years that have garnered 26 Regional Emmy® Awards and have been broadcast throughout the country and around the world. Focusing on educational and social issues, Mr. Schueler creates youth programming and documentaries that are “Television to Touch the Heart.” His innovative process of program creation was the focus of Mr. Schueler’s recent TED talk. That audience driven process has been integral in creating social change for his work with clients including the United Nations, the National Institute of Mental Health, the PBS network, the CBS Network Foundation as well as networks and governments worldwide. Mr. Schueler has created projects in locations worldwide including Europe, the Middle East, Asia, Central America, Russia and Africa. His documentaries have raised public awareness and also impacted public policy nationally and internationally. His programs have ranged from global warming solutions to mental health stigma and included topics such as date and domestic violence, AIDS, alcohol, gambling addiction, opioid abuse and many others. As a director, Mr. Schueler has worked with Glenn Close, Bryan Cranston, Sam Donaldson, Montel Williams and others. 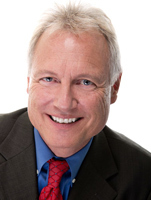 The National Broadcast Association for Community Affairs named Chris Schueler national “Innovator of the Year” for his News 101 project. 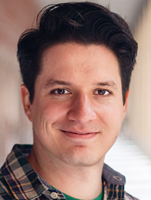 Mr. Schueler has a BA in English and Theatre from the University of the Pacific and an MA in Playwriting and Directing from the University of New Mexico. UNM has honored him with its Lobo Award and UOP with the Distinguished Alumni Award for Public Service. In addition to being CEO of Christopher Productions, Mr. Schueler is the Executive Director of SafeTeen New Mexico which was named one of the six best Community Outreach Programs in the United States. Due to the quality of his work, Mr. Schueler has been honored to be on the Grand Jury for the New York Festivals the past 8 years. Mr. Schueler is the only three-time winner of the Board of Governors Award (Emmy© Award) from the National Academy of Television Arts and Sciences, Rocky Mountain Chapter. more ... Co-founder of Persistent Productions Meghan’s work spans documentary film, branded content, and the arts. 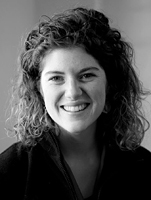 Working as a director/producer Meghan is double-based in Boston and Singapore. Her commercial work and branded content include collaborations with Sony Music, Nikon, BBCStoryworks, and Amanresorts. 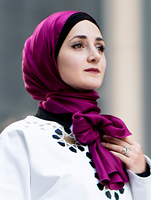 Her documentary work includes the recent feature films; “How I Live”, a film about global pediatric cancer and “Under the Turban”, an exploration of Sikhism, the world’s fifth largest religion. Whether working in the documentary sphere, television, or with corporate brands her focus in on telling authentic human stories. 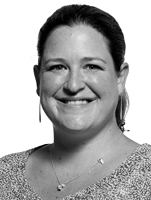 Meghan graduated with a Master’s of Fine Arts from the George Washington University during which time she was a fellow for EJS Women’s Leadership Program. Meghan’s work has been screened at such venues as The Tribeca Film Festival, US Public Broadcasting, and universities such as The Harvard Kennedy School, Yale University, and MIT. more ... Graduate of NYU Tisch Graduate Film School and recipient of the Tisch School of the Arts fellowship, Kirsten Tan is a New York-based Singaporean filmmaker whose debut feature ‘Pop Aye’ made its world premiere as the Opening Night film of Sundance Film Festival 2017. The film went on to receive a Special Jury Prize for Screenwriting at Sundance Film Festival, the VPRO Big Screen Award at Rotterdam International Film Festival and the Best International Film Award at Zurich Film Festival. In 2017, she was nominated as Singaporean of the Year by The Straits Times, Singapore’s national broadsheet. 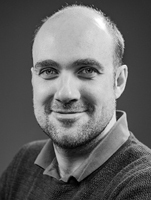 more ... Simon Tubbs is one of the UK’s leading animators with 14 years of experience of working in the top flight of broadcasting and corporate communications. Awarded with numerous international awards for graphics and animation, he heads up his own independent studio The Motion Design Company. more ... Qualified in communication planning, he got into film production in 2006 and co-founded Maybaum Film. Since then, he made countless films in the field of corporate and advertising films as director and later as director of photography. He worked on diverse international documentaries and his works on corporate films have been awarded many times. His company employs eight people and is one of the leading production companies for corporate films in Switzerland. more ... His life is driven by new challanges. After finishing an apprenticeship as a ceramist he went out in the wide world for 7 years. Gemstone exploration in Madagascar, Snowboard Coach for the Sri-Lankan Team at the first indian Wintergames…and returning with a gold medal in his pocket, tutor for orphans…you name it! After returning from his World Trip he discovered the Film Business. Within 10 years he enhanced his movie making skills by running through many different positions until his skills as a director had been highly improved. He has a sense for details, which is a fix part in his life. This talent he can express by decorating his apartments as well as organising his legendary feasts, which are taking place on his hugh table. With loving attention to details and the stories he also directs his films, which often have a strong visual lineament. Creating movies is his life and he doesn`t have so much time for something else to do, except disappearing for a few month. Then he is probably somewhere surfing on a tropical island. more ... Ethan Vincent is an Emmy-award winning documentarian with strong commercial sensibilities. 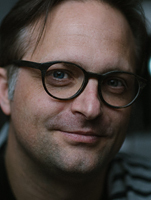 In addition to longer format docs for screen and television, he has produced and directed many shorts for clients such as LEGO, Red Bull, Clinique, Nivea, Generali, Microsoft, Franklin Covey, Siemens and d&b audiotechnik. Ethan captures individuals with a spontaneous visual style, compelling authenticity and emotion. His skill set ranges from writing to producing to shooting to hands-on editorial. more ... An award-winning Creative Director and Live Action Director, Meg has spent more than 20 years working with major broadcast and sports clients, including Under Armour, Red Bull, Google, the NBA, MLB, PGA and NASCAR, as well as clients like Dove Beauty, Gatorade, Sprite, ESPN, Delta Air Lines, Home Depot, Regal Cinemas, Chick-Fil-A and Yahoo! Sports. She’s got a soft spot for in-camera tricks, composition and animation, and loves to fuse live action and studio created worlds. 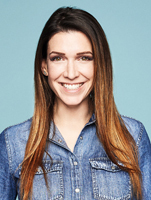 She was formerly the Executive Producer and Director for Red Bull's Non-Live/ Long Format Productions group, as well as the former head of Under Armour's Content House and is the creator behind Under Armour Originals. Meg is repped as both a Director and Creative Director in both the U.S. and the E.U., as well as a featured Director on www.freethebid.com. She has been a featured presenter at conferences around the world, as well as a featured guest on several global podcasts, speaking about Creativity, Content Creation and the Evolution of Digital Media. 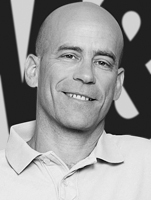 more ... Max Zilker is an award-winning editor for commercials, fictional movies and corporate films. After having graduated from university with highest distinction, he has entered the world of commercials and corporate films. 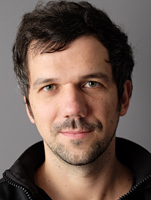 His commercial “Schwitzender Klaus“, for which he has been in charge not only of the montage but also of the visuals effects, he has been awarded the “Porsche Award”, two times gold and one time silver. In the masterclasses given by Patrick Tucker in London as well as in the classes of Mark Travis, he has reinforced his interest in the direction of films. At present, he is developing his own materials and lives with his wife and his daughter in Munich. 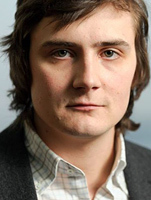 more ... Zbigniew Żmudzki graduated in Economics and Film and Television Production Management in Lodz, Poland. He is an Oscar-winner with “Peter and the Wolf”.